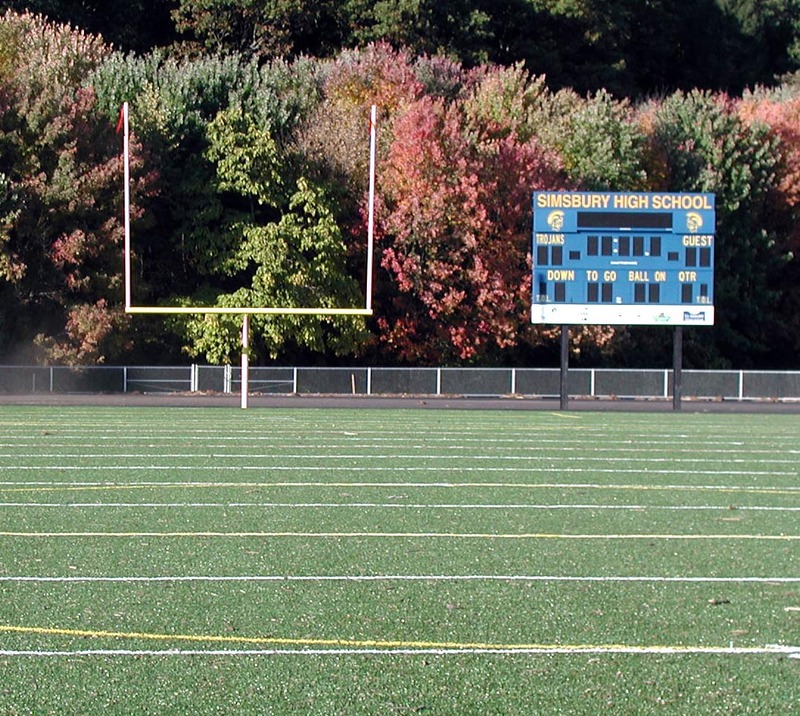 Simsbury High School | Blades & Goven, LLC. 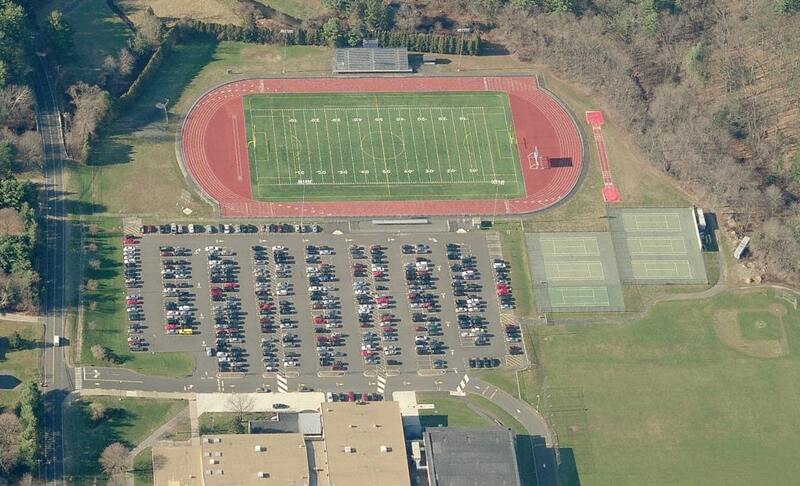 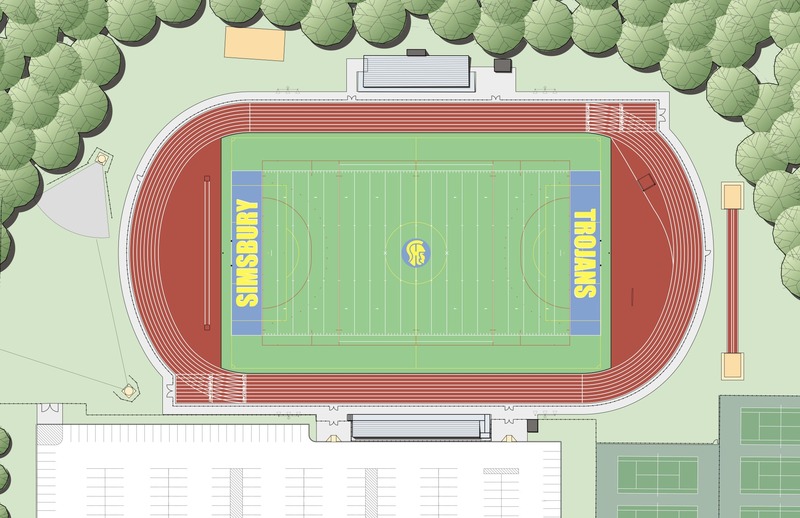 The Town of Simsbury selected Blades & Goven to act as prime consultant to design their new track and stadium field at Simsbury High School. 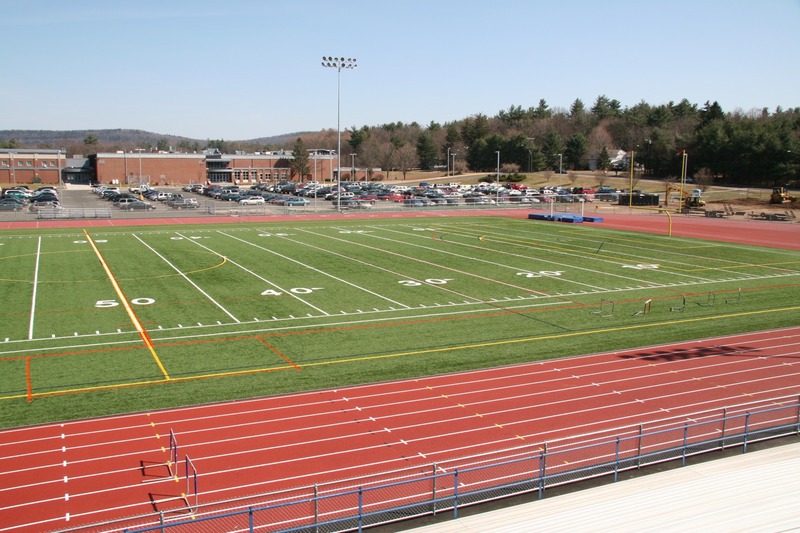 The project included an all-weather track, an artificial turf field, sports lighting, field events and related site amenities. 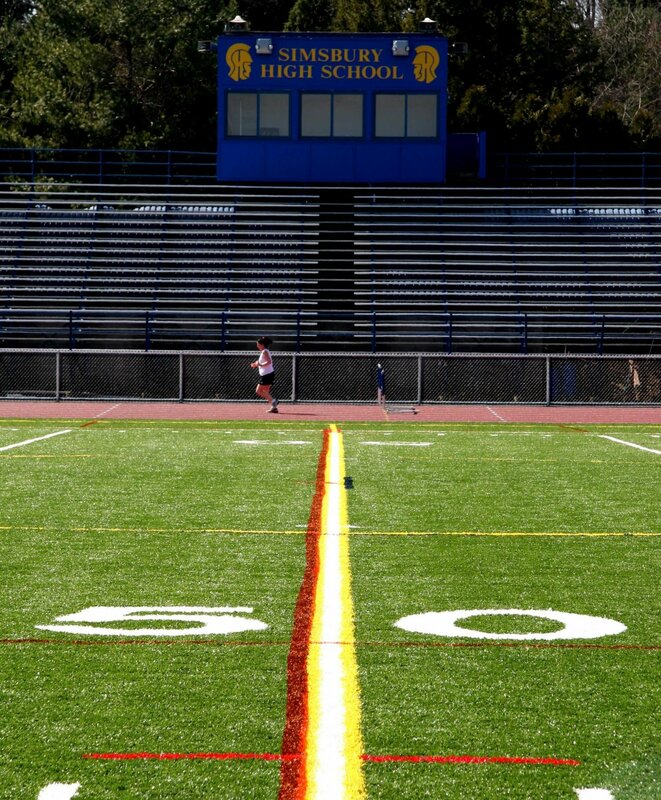 The “broken-back curve” track design was utilized in order to accommodate an oversized soccer field. 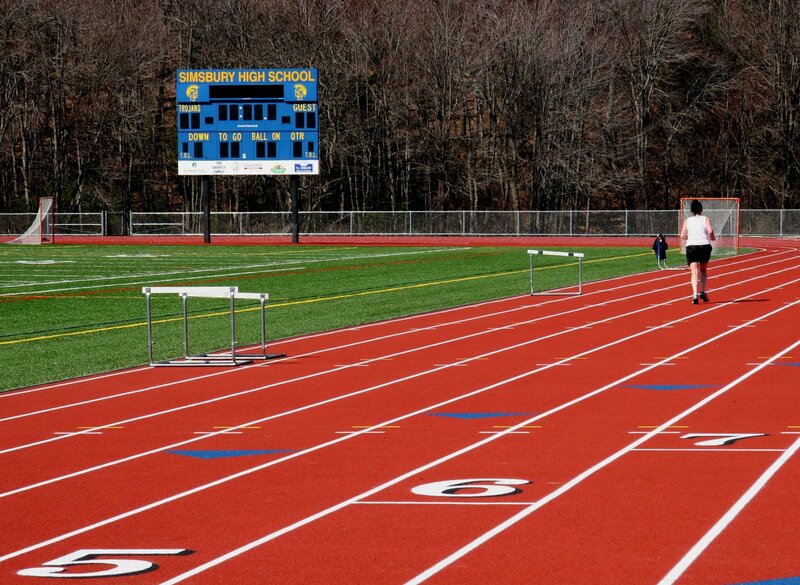 Multiple chutes for sprint events and a double-headed runway for jumping events provides maximum flexibility for both practice and meets.